BlackBerry (TSX:BB)(NYSE:BB) stock has performed poorly lately, with the stock down by about 26% in the last 12 months. The meaningful correction provides an attractive entry point for the tech stock. BB data by YCharts. The price action of BlackBerry in the last 12 months. Here are a few catalysts that can drive the stock higher in the coming years. We only hear about the data breaches with far-reaching impacts, including the Marriott and Equifax breaches in 2018 and 2017, but data breaches actually occur very often — every day, in fact. As a result, there’s an increasing need for cybersecurity. That’s why BlackBerry management determined it was appropriate to acquire Cylance for a hefty price of US$1.4 billion. Cylance boasts that its solution identifies threats and analyzes them on average 25 months in advance, which has stopped tens of millions of potential attacks. Its artificial intelligence solution continues to learn and gets better and better at doing its job. Cylance has secured 14.5 million endpoints for its 3,400 clients worldwide, which include Fortune 100 organizations and governments. So, Cylance will be a great addition to BlackBerry’s cybersecurity portfolio. BlackBerry calls the Enterprise of Things the fifth wave of enterprise productivity, following the invention of computers that disrupted the systems of record, networks that changed how we communicate, the Internet that changed how we shop, and mobile or cloud that increased engagement. 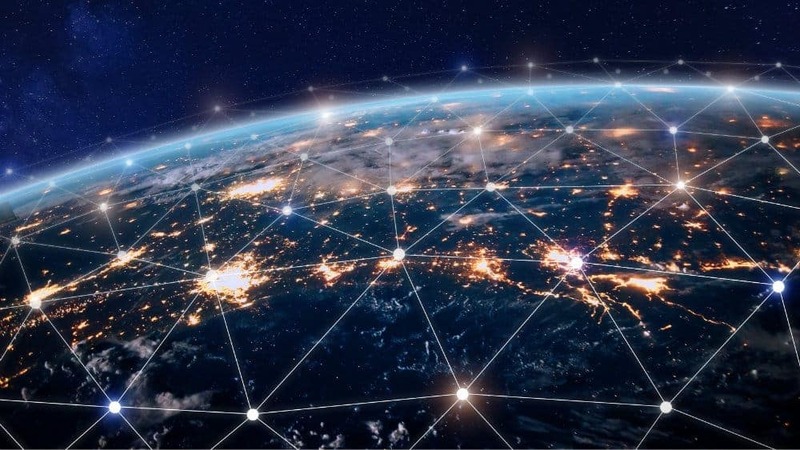 The Internet of Things is creating hyper-connectivity that’s changing how businesses operate. The number of connected devices will exponentially grow as the Internet of Things evolves. This will increase the need for cybersecurity, which is one of BlackBerry’s areas of focus. 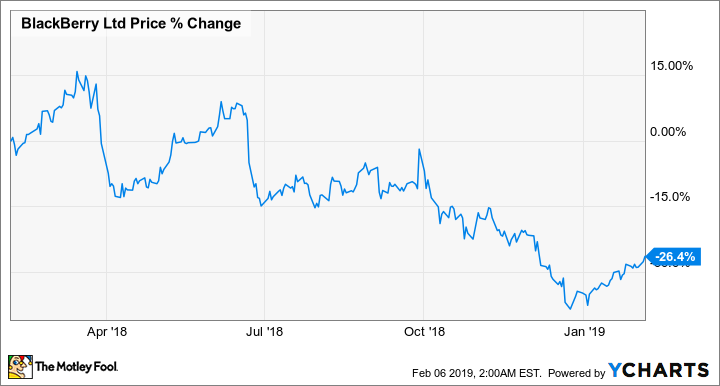 BlackBerry management has focused on growing its software and services segment, which contributed to more than 90% of its revenue in the first nine months of fiscal 2019 — a marked difference from a few years ago. And the segment is still growing. Particularly, the BlackBerry Technology Solutions and Licensing and Intellectual Property units saw revenue growth of 27% and 35%, respectively, so far in fiscal 2019, year over year. The +20% correction in BlackBerry stock creates an attractive entry point for the growth stock. Thomson Reuters currently has a 12-month mean target of US$10.90 per share, or CAD$14.17 per share (using a more conservative forex of US$1 to CAD$1.30) on BlackBerry, which represents near-term upside potential of 29% from CAD$10.96, as of writing.